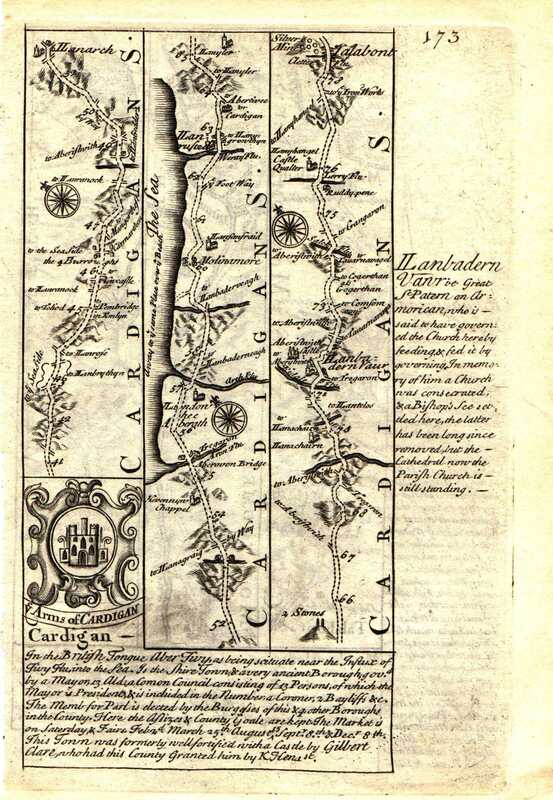 1720 Road Map Cardigan – Talabont. Britannia Depicta /John Owen & Emanuel Bowen Note `Aberavon [sic] bridge’! 1764 Cardigan. England Illustrated / Thomas Kitchin Aberaron! 1801 Aberaeron and New Key … Harbours / William Morris. 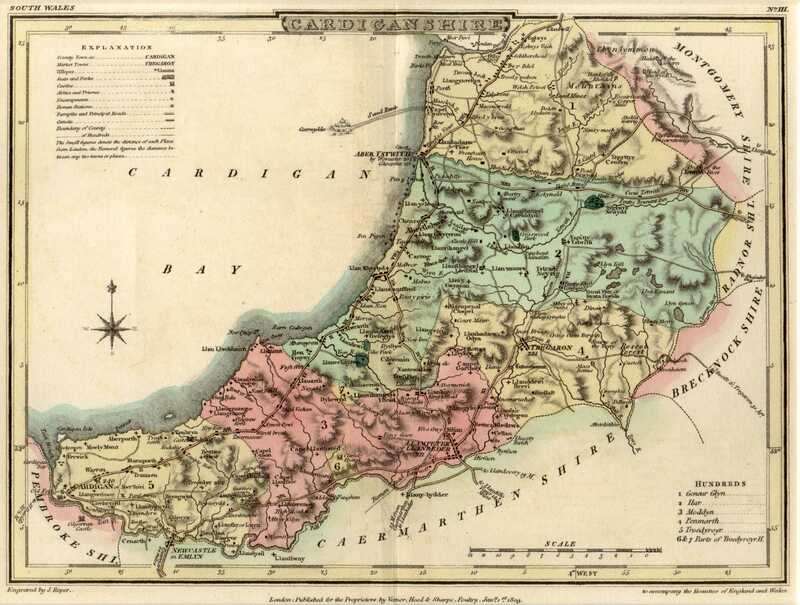 1809 Cardiganshire. 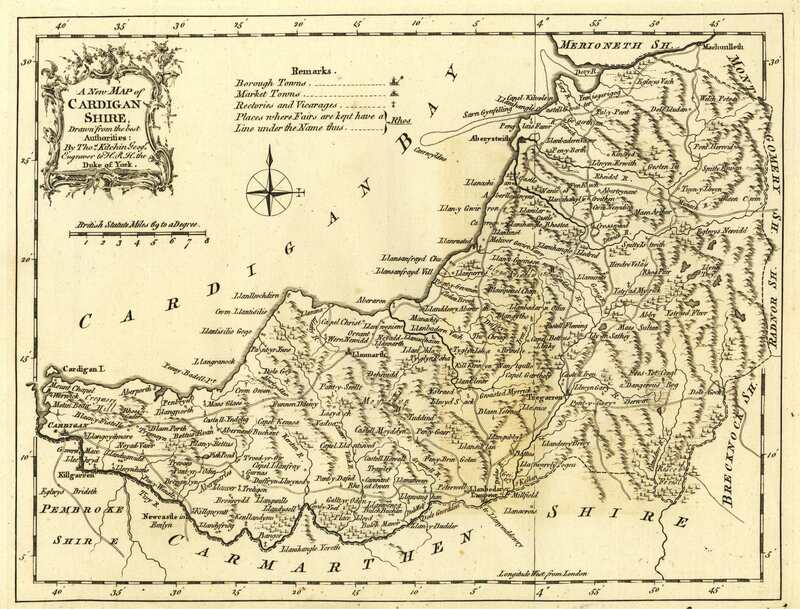 The Beauties of England and Wales(1815).